ArtScroll talks with internationally acclaimed speaker and best-selling author, Rabbi Paysach Krohn about the start of his illustrious career, the legacy he carries, and the family traditions he’s passing on. And thus began Rabbi Krohn’s lifetime of writing. After Rabbi Krohn submittedwrote some sample chapters, ArtScroll accepted the concept and a contract was signed. But instead of a deadline, Rabbi Krohn was given a goal. 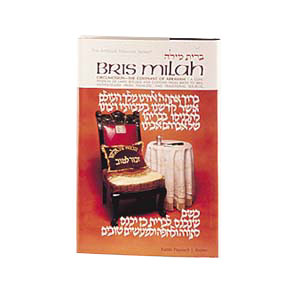 “They told me, ‘Write a book on bris milah that is so thorough and so good, nobody will even consider writing another one for at least ten years.’” Thirty months later, Rabbi Krohn felt he had achieved that goal, and Bris Milah/Circumcision, was published. Ready for his next writing challenge, Rabbi Krohn was inspired by short stories. 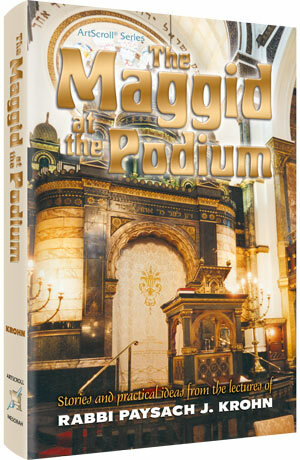 His personal connection with Rav Sholom Schwadron, the Maggid of Yerushalayim, gave him the idea for his second book. Rabbi Krohn approached Rav Sholom and asked for permission to trasncribe his stories in a book accessible to the English reader. “I wrote up the stories, and my cousin translated them for Rav Sholom. Then the most amazing thing happened: Rav Sholom called me and said that he liked what I had done with the stories, but that in many of them I had gleaned a different lesson from the story than he had. Just as Rabbi Krohn worried that he didn’t have enough material for another book of stories, another amazing thing happened. “Rabbi Boruch Grossman called and asked me to speak at the graduation of his high school for Russian boys. That was my first public-speaking engagement. Following that, Mrs. Shanni Perr asked me to come to Camp Bnos to speak on Shabbos.” After those events, Rabbi Krohn received calls from other camps, and it wasn’t long before he had speaking engagements every Shabbos. Next, Rabbi Hillel David’s rebbitzen invited him to speak to a ladies’ group, and things snowballed from there. Along with the speaking invitations came another benefit. “People began to realize that if I was writing stories, I probably wanted to hear stories as well. Acquaintances and strangers approached me to tell their stories – on a plane, while crossing the street, anywhere. 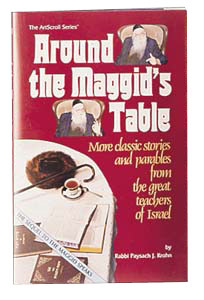 And they still do.” Rabbi Krohn collected stories for his next book, Around the Maggid’s Table. “It was called Around the Maggid’s Table, because that’s how stories are gathered. Rav Sholom would tell some stories, and others around his table would tell others. 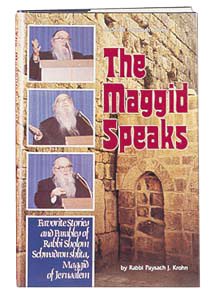 The third book no longer contained stories from Rav Sholom, but rather – stories that Rabbi Krohn himself had collected and compiled. 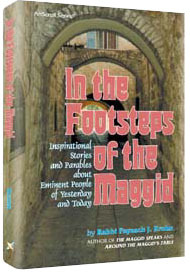 The book is therefore called In the Footsteps of The Maggid. 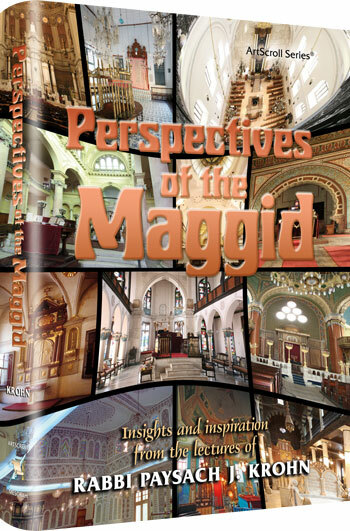 The format of Rabbi Krohn’s latest release differs from that of his previous books. “When Zman magazine originally began publishing, the editor-in-chief, Rabbi Yaakov Astor, asked if I would be willing to have my speeches transcribed to create articles for the magazine. I agreed, and ever since the first issue, one of my speeches has been the leading article.” After 25-30 issues had been published, Rabbi Gedaliah Zlotowitz thought of publishing these articles in book form. They worked it out with Zman, and published Perspectives of the Maggid. When asked if he prefers writing or speaking, Rabbi Krohn insists that he loves both, as each is uniquely rewarding. “But Bris Milah will always be first for me. It’s my main parnassah and a family tradition.” Both Rabbi Krohn’s father and grandfather were mohelim, and his son and son-in-law now continue the tradition. Rabbi Krohn proudly recounts that his children are also continuing other family traditions. “My daughter Chaviva continued the writing tradition, first with stories from the Maggid books that she adapted for children.” Her newest children’s book, Making Hashem Proud is due out soon from ArtScroll. 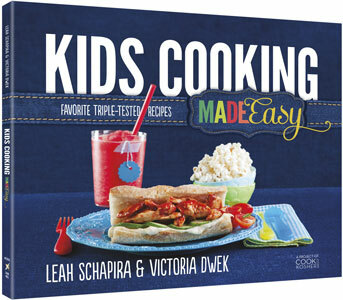 Rabbi Krohn’s daughter-in-law Genendel is achildren’s book author as well.” Speaking has also become a family tradition; Rabbi Krohn’s son Eliezer is a seminary teacher and popular speaker.